Experience the famous Lopi quality and performance in an entry-level wood stove that just plain heats. 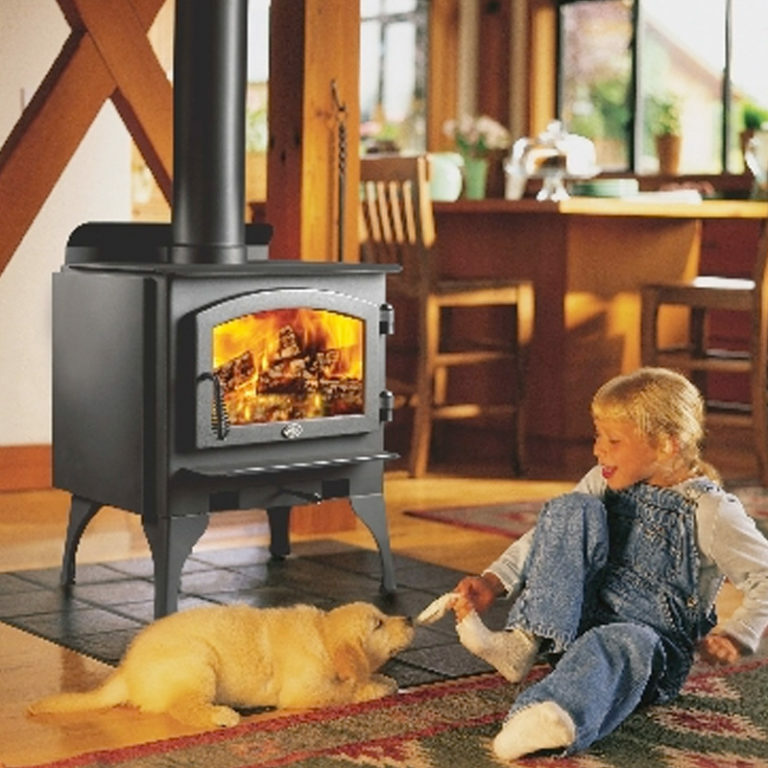 We like to say the 1250 Wood Stove is big on heat and small on price. The economically priced 1250 was created with the intention of building an affordable, aesthetically appealing and practical wood burning stove. The 1250 features a fully lined ceramic brick firebox, heavy-duty steel construction and can heat up to 1,200 sq. ft. with burn times of up to 8 hours without reloading. This stove also includes a large, radiant heat transfer cooktop surface as well as a convection surface for maximum heat output. The 1250 is an excellent choice for heating smaller homes and cabins.